The agriculture ministry has recommended several options to provide both short and long term solutions to address agrarian distress. 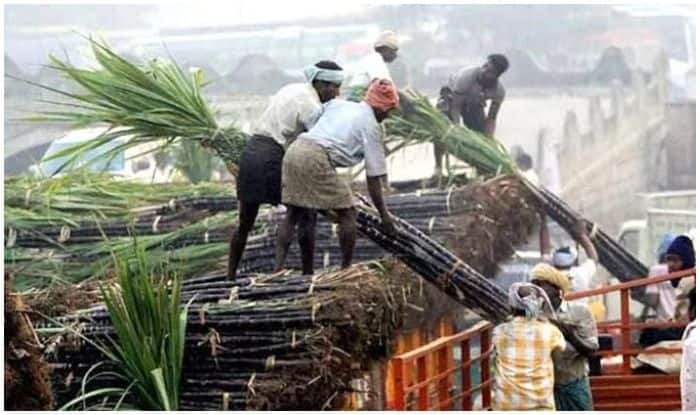 New Delhi: In what seems as an attempt to placate the distressed agrarian sector ahead of the Lok Sabha polls, the cabinet is expected to approve a package for farmers aimed at boosting their income soon, PTI quoted sources as saying. The package was expected to get Cabinet’s approval on Monday, but the meeting was later cancelled. The agriculture ministry has recommended several options to provide both short and long term solutions to address agrarian distress. However, a final call will be taken in the cabinet meeting as a huge cost is involved, the sources said. One of the options proposed is waiving interest on crop loans for farmers who pay on time, costing an additional Rs 15,000 crore to the exchequer, the sources stated. There is also a proposal to completely waive premium for taking insurance policy for food crops. The centre is also evaluating the scheme followed by the Telangana and Odisha governments wherein a fixed amount is transferred directly into the bank account of farmers, the sources added. Agriculture Minister Radha Mohan Singh had recently indicated that the government would announce an agriculture package before the 2019-20 Budget, to be presented on February 1. Experts said the government has less time to implement any new scheme. The measure has to be such that it can be implemented faster to reap the political gains during the election. It may be noted that the central government has taken farmers’ issues seriously after the ruling BJP was defeated in Madhya Pradesh, Rajasthan and Chhattisgarh in the recent state polls, where rural distress was a key factor. Farmers are in distress owing to fall in prices of most crops in view of bumper crop.